A newly renovated bathroom or laundry has the potential to make a real difference in the enjoyment of your home. After all, it’s one of the rooms we use the most! 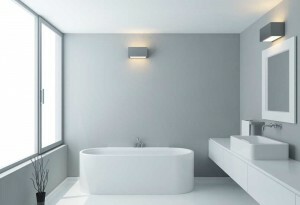 Setting out to renovate your bathroom can be an overwhelming feeling. The team at Adelaide’s Mott Group provide a professional and reliable service throughout all stages of your bathroom or laundry renovation so that you don’t have to worry. 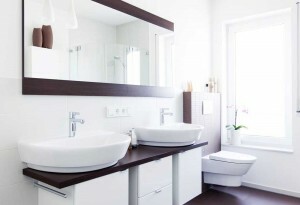 We specialise in helping to design and construct your new bathroom or laundry to meet your specific requirements for both new and existing properties. A finished design in your preferred style, whether it’s a modern, contemporary, minimal or traditional design. We pride ourselves on our ability to schedule all trades involved in your project efficiently and productively, ensuring your renovation is completed as quickly as possible with minimal disruption to your life. You will barely know we were there, except for the new beautiful bathroom you can enjoy day after day. We always aim to design and install bathroom and laundry renovations where the value added to the property exceeds the actual cost of the renovations. This ensures value adding is achieved beyond the pleasure of using and enjoying your new facilities by increasing the property value. We understand that a functional, easily maintained and well-presented bathroom or laundry is paramount in a happy home and we can help with your requirements whether you need a small repair job or a full scale renovation. Mott Group will be there for you from the planning stages through the installation process, overseeing the whole project to make sure you get the bathroom or laundry that suits your space and lifestyle. We create and design bathrooms and laundries in a wide range of styles including modern, contemporary, minimal and traditional designs. We pride ourselves on our ability to schedule all trades involved in your project efficiently and productively ensuring your renovation is completed as quickly as possible with the minimum disruption to our clients on site.